When I say “Minako Aino,” what’s the first thing that comes to mind? 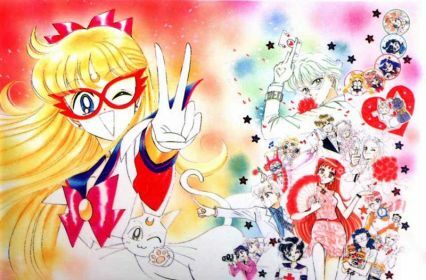 … after “Sailor Venus” … and “Sailor V” … yeah, after “Artemis” too. Okay, fine. When I say “Minako Aino” and “favorite sport that you see her engage in occasionally throughout the Sailor Moon anime and manga,” what comes to mind? That’s right, volleyball! Glad we’re on the same page. While there isn’t really anything terribly remarkable on the surface about the fact that Minako plays volleyball, it turns out that there may actually be yet another of Ms. Takeuchi’s many hidden references when you dig a little deeper. And yet, there’s always something that seemed a little off about it to me. 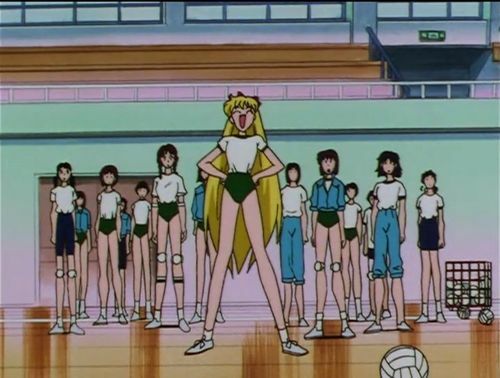 At least until Sailor Stars, Minako seems to be the only member of the Sailor Team to seem to be part of any school clubs (whether currently or in the past). I mean, sure, we see that she had to give up on volleyball in the anime due to her commitments with being a Sailor Soldier, but the point still remains. 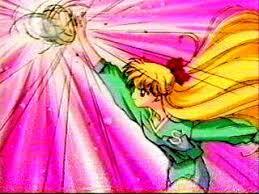 So that got me wondering: could there be anything involved in the creation of Minako’s character, or specifically in the creation of the Codename: Sailor V series, that has some connection to volleyball? As it turns out, the answer to that question is a very solid “maybe.” But to find our answer, we first need to go back to the 1960s — the decade in which Ms. Takeuchi was born. Read also: What Myth Are the Ayakashi Sisters Referring To? 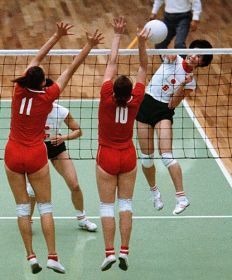 After this impressive victory, volleyball saw a surge in popularity across Japan both in terms of people playing the sport, as well as in people wanting to watch and read more about it. And as you and I know, where there is a hobby segment in Japan, there’s invariably going to be an anime or manga made about it. And that’s where Our Sign is V (サインはV)6 comes into the picture, a manga written and illustrated by manga artist Akira Mochizuki7 in 1968. The manga was later adapted into a live action TV show in 1969 and managed to garner a strong following among adults and children alike, claiming a nearly 40% viewership rating across Japan at its highest point. The live action show was followed up in 1973 with a sequel series, set four years in the future and starring a whole new set of girls. Our Sign is V differed from other shojo manga of the day by ditching many of the familiar shojo tropes we’re familiar with today in favor of a story more in line with a typical sports manga, including many intense training sessions along with “curve balls” and other special moves. I’m pretty sure you can tell where I’m going by now. 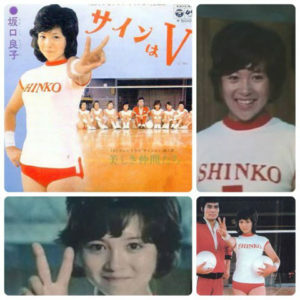 Not only do we have volleyball to connect Minako back to this series, but we also have Sailor V’s self-referential V sign that she’s often throwing in covers and whenever she has an opportunity to pose. But what does that “V” hand gesture signify, anyway? The most obvious answer is to say that it’s in reference to herself, Sailor V, but anyone familiar with taking photos in Japan can probably tell you that this is likely not the case. Commonly known as the “peace sign” among Japanese people nowadays,8 the gesture was popularized among Western nations (and, by extension, Japan) during and after World War II as the “victory sign,” i.e., “v is for victory.” The meaning changed into one for peace thanks to its use being co-opted by anti-Vietnam war activists in the 1970s. Judging by the fact that Our Sign is V predates this change, and taken in context of it being a competition-focused sports manga, I feel it’s fairly safe to say that the “V” being referred to in the title here is for “victory” and most definitely not “peace.” While that wasn’t the case by the time Codename: Sailor V came onto the scene in the early 1990s, I’d wager a guess and say that when the character was initially created, this V sign carried with it multiple meanings, one of which being “victory.” After all, the rest of the Sailor Team hadn’t been created at this time, and the Venus connection was loose at best. This is yet another one of those articles where I have absolutely no solid proof to back up what I’m saying, so I freely admit that I could be wrong entirely (or in part) on this theory. However, considering the time that the series was on the air (especially the second series, when Ms. Takeuchi would have been about 6 years old), the titles (Sign wa V and Codename wa Sailor V), and Minako’s volleyball connection, I at least think it’s worth keeping your mind open to this as a possible throwback reference. Read also: How Old Would the Sailor Senshi Be Today? So what do you think? Reaching a bit too much here, or maybe worth taking a deeper look into? When left to your own devices it’s easy to overthink these things, so I’d be interested in hearing other people’s opinions! ← Is There a Connection Between Rei Hino and Rei Ayanami? I remember that in one version (I think it was the DiC dub) of Sailor Moon she presents herself with words “I am Sailor V, and V is for victory!”, so you have a clear point there. I totally believe this reference is real!! Another amazing find~.